Shell Love Bug! The secret seashell sculpture is almost ready to be seen by the nation on Good Morning America with Ginger Zee on June 20, 2016 at 7am to help shellebrate the 1st annual National Seashell Day. Well… we’ve “shelldazzled” the entire car with local seashells. Can you believe it? It’s turned into the biggest SAILOR’S VALENTINE on earth. OMG! I can not wait to show you the ultimate symbol for the love of seashells and shelling I could think of. I can’t wait to see it! What an amazing project. You’ve outdone yourself this time, Pam! Congratulations. Oh my seashells! I love your idea and can not wait to see it! Wow…that’s one heck of an endeavor Pam…please be sure to post a photo of the finished Shell Love Bug!! Wish we could be there to share in the fun! Is GMA doing a remote with you? What an amazing project. 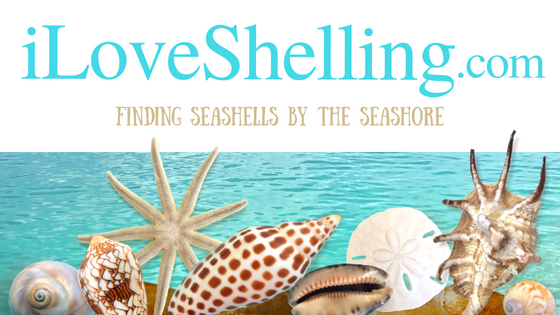 Thanks for all you do to promote the hobby that I love–searching for sea shells. Sorry we missed you this Spring. We’ll be back in October. So awesome!!! Perfect way to shellabrate the first National Seashell Day!!! It’s gorgeous! Oh, this will be fun! We are trying to find ways to celebrate National Sea Shell Day here in Minnesota…far from any shells. We will be sure to watch! How unbelievably creative and awesome, wish I lived near enough to come see it!! Can’t wait for more photos!! That’s certainly a LOT of WORK, you’ll get first prize for certain!! Best of luck!! Yay Ann!!! That’s the idea! It’s for all shellers around the nation and world. It’s our day to celebrate so get your shells on! I can’t imagine how much work that was to do, or even to plan to do!!! I sincerely hope it ends end up in a museum. Can’t wait to see the whole car!! I have a question, what kind of glue to you use to make your creations???? Kept waiting for someone to call & tell me I’d won the trip to Sanibel for National Seashell Day. Next best thing will have to be watching you on GMA for the great unveiling!!! cannot wait to see this one, Pam.. what an awesome idea! Cannot wait to see this, Pam… what an awesome idea! Shellzam!!!!! Look back at the clue blog. I win-I guessed it-what’s my prize? I just knew with you standing so pretty in front of that bug that something was up. Can’t wait to see it. I know it will be awesome. How innovative you are, Pam! Will be crossing my fingers that u win first prize! Good Luck! I wish I could see it in person! I look forward to seeing lots of pics. I hope you share some details about how you did it, type of glue, etc. AMAZING——Wish I could be there for this special week! I’m going to set the DVR now. Wow! What a labor of love that must have been to complete! Can’t wait to see it on GMA and in person someday! cC a Beelt girl. This is so great.Wow!